Area 10 Spring show 2017. Another successful event for Beds, Bucks & Herts. with many members bringing turnouts from other areas for Mrs Sally Barlow to access. First to take the red rosette was the novice hackney pony Luddington Whirlwind driven by John Randall, surely a pony to watch out for in the future. 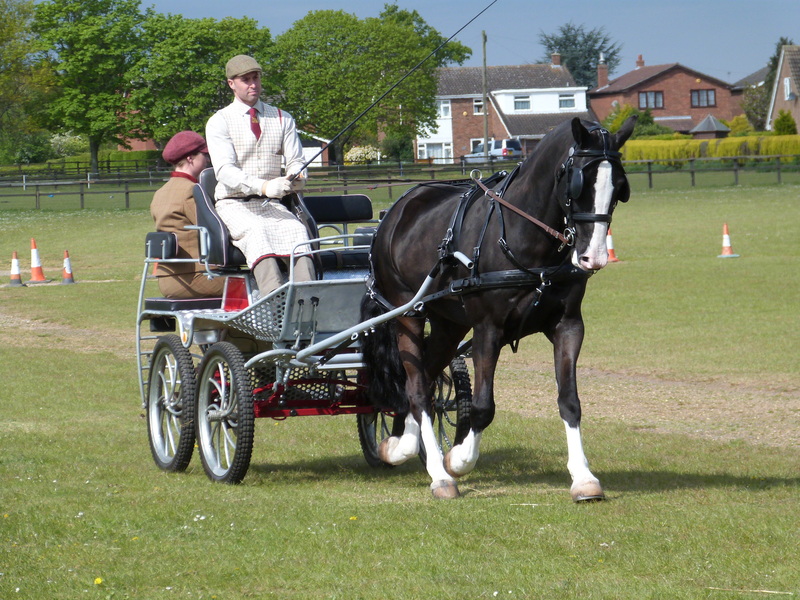 Tony Pearce and his lovely Wildcourt Little Spotlight was runner up in this 2 wheel exercise vehicle class. 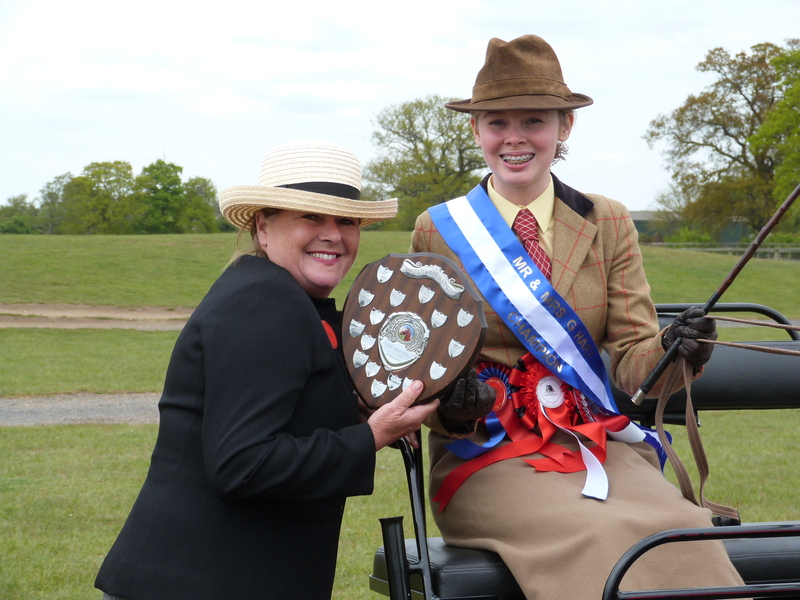 Laura Priestley topped the 4 wheel exercise vehicle class, from The Outlaw and James Titmuss. Another cracking novice pony Stonedge Solomon took the Style & Performance class with Jessie Dudley-Apicella in charge, from Geraldine Pearson and the lovely Spottie. 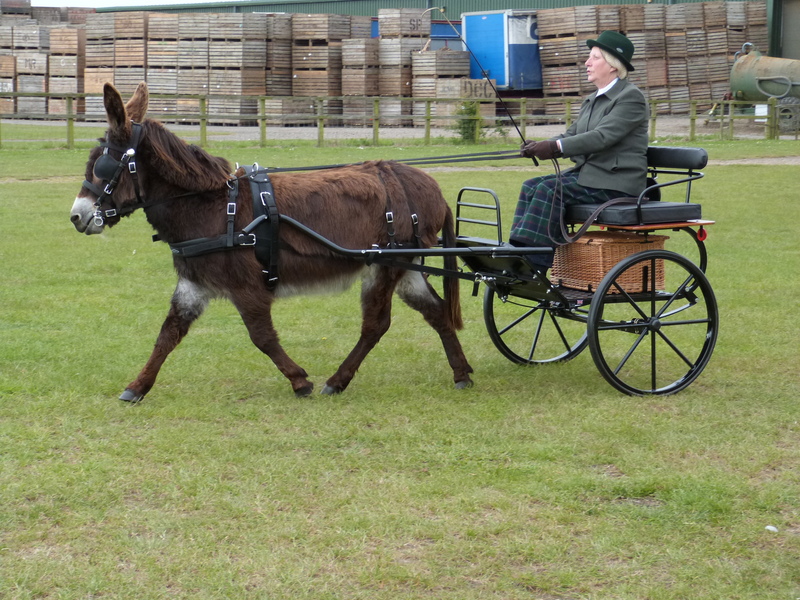 It was one of two donkeys in a full up Pleasure Driving class that deservedly won the red rosette. Mixandmatch is a coloured donkey stallion who likes to announce his presence by often braying rather loudly, but he was immaculately behaved and completed the given task in first class fashion, Jill Oliver being the proud driver. Gail Mills took the open Private Driving class with the striking chestnut Synbad from Josie Randall and Heartland Starlighter. However this situation was reversed when time came for the Show Champion to be decided. It was a tough decision for the judge, no doubt. 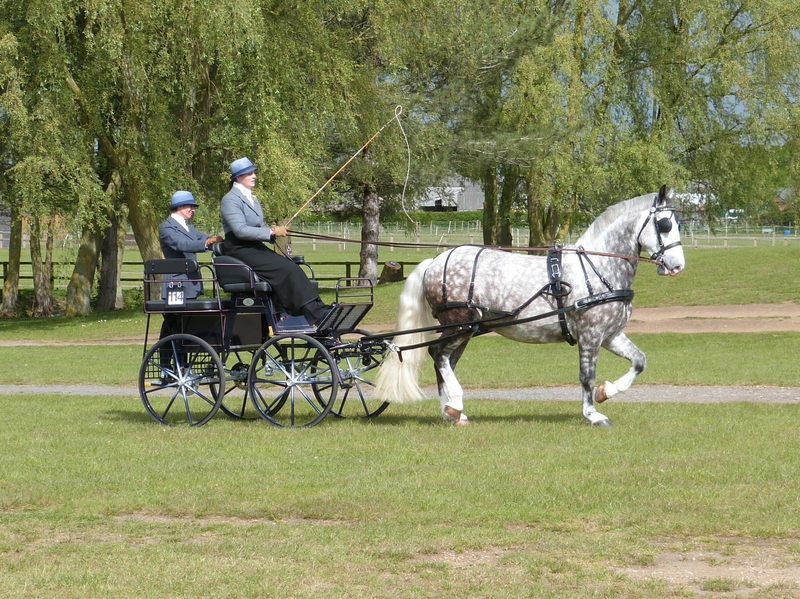 The Novice whip class went to Rebecca Phillips with her smart diminutive Shetland called `The Ginger Bread Man`, the Welsh class to Neil Winney and Glanvrynny Prince of Wales , then the Young Drivers class was won by Leah Marshall with Laura Priestley a close second. Well done to them all. Mrs Priestley and Mrs Hart kindly judged the Concours d`elegance and thought Josie Randall`s hackney pony turnout the most suitable, with Synbad and Gail Mills in second place.